The Discoverer RTX is a true all-terrain tire that provides aggressive off-road performance as well as confident highway dependability. Its advanced coupled silica infused compound improves traction in wet conditions, while the variable depth serpentine siping adds biting edges for additional off-road traction. Its aggressive, rugged all-terrain tread design includes an anti-stone retention feature that helps repel stones and debris from the tread. 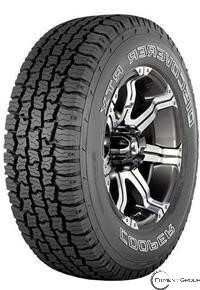 The Discoverer RTX is available in a wide range of light truck and SUV sizes.